2 Bedroom Flat To Rent in Chertsey for £1,500 per Calendar Month. 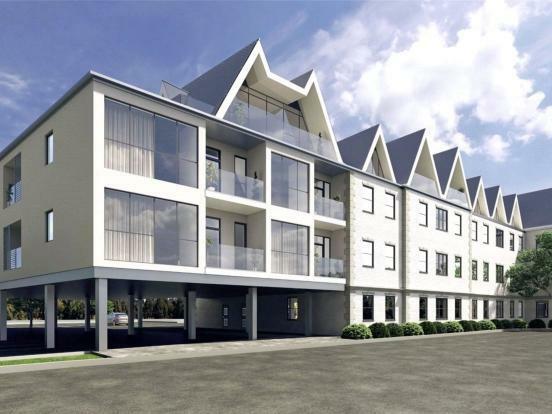 Hamptons International are delighted to offer a selection of stunning brand new studio, one and two bedroom apartments located just moments away from the River Thames, 1.1 miles to Chertsey Railway Station and 11 miles to London Heathrow Airport. The apartments have been superbly designed to offer open plan living space with features such as solid wood floors, modern fully fitted kitchens and bathrooms. The development is gated offering complimentary parking, bike shelter and residents garden. Photos are not of the exact apartment but show the style of the fixtures and fittings. Located circa 1.4 miles of Chertsey centre for day to day shopping and restaurant facilities, 1.1 miles from Chertsey train station and 11 miles from Heathrow Airport. For extensive shopping facilities, the towns of Windsor, Woking, Guildford and Kingston are all close at hand. Junction 11 of the M25 is just a short drive away giving access to London and the motorway network. Other than the world renowned Wentworth Club, country clubs abound in the area such as Foxhills, Queenwood, Sunningdale and the Royal Berkshire. Delightful walks can be enjoyed around Virginia Water Lake, which leads up to the Polo at Smiths Lawn, adjacent to Savill Gardens and Windsor Great Park beyond for riding. The area is also very well catered for by a wide choice of private prep schools, as well as two international schools, ACS in Egham and TASIS in Thorpe.